The concept of information is intuitively related with the change of our knowledge about natural phenomena caused by observations. [1, 2] An observation can generally be treated as an experiment, performed with the help of our sensual perception or a measuring instrument. 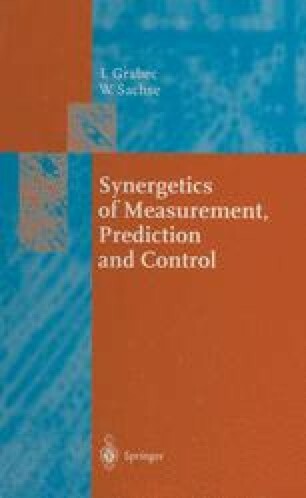 A less intuitive description of the concept of information can be obtained by relating it with the properties of measuring systems and experimentation. For this purpose we mathematically define a variable by which the change of knowledge, and with it the information acquired, can be quantitatively characterized. We therefore try to incorporate the characteristic properties that are intuitively assigned to information into the mathematical definition of a corresponding variable. However, information is usually intuitively further related to a “meaning” or a “significance” which is generally specific to a particular observer but which also depends on the entire complex of phenomena preceding the actual acquisition of the information. Obviously the “meaning” of information is conceptually much more involved than the information itself and it cannot be easily or generally described. We therefore shall not define this concept quantitatively.